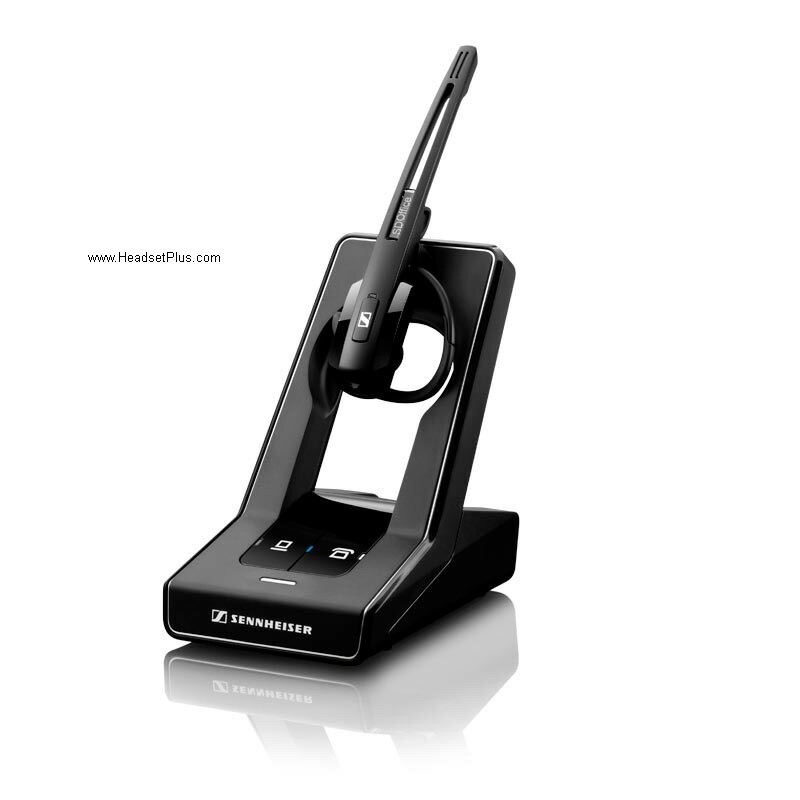 The Sennheiser SD Office is a convertible wireless headset system for desk phone and soft phones (using the USB port). 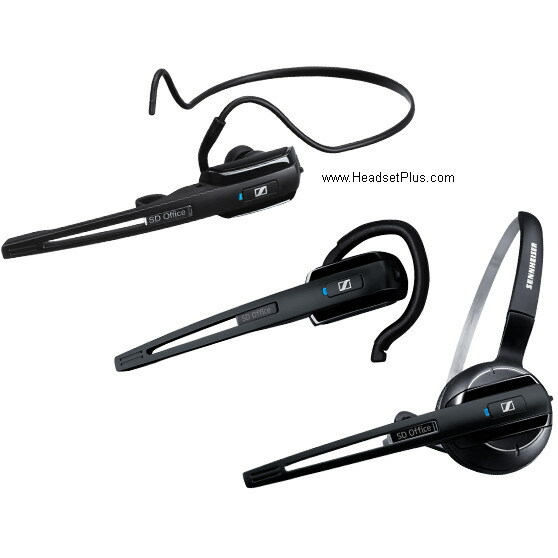 It comes with three different wearing styles (over-the-head, and over-the-ear, and behind the neck). 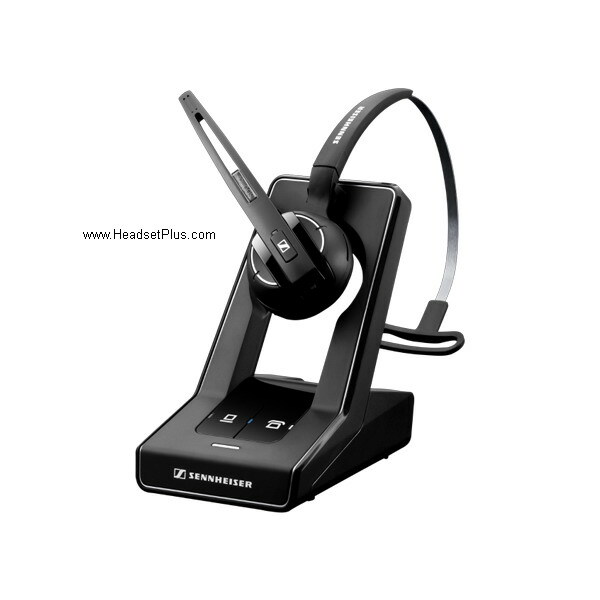 Designed with Sennheiser's HD voice technology, noise-cancelling Microphone, Wireless range up to 400ft. Battery has a capacity of 12 hours of talk time. Roam up to 400 ft range.